HOUMA – Dexter Gaspard isn’t your typical pastor. Wearing gages in his ears and covered with tattoos, Gaspard can be found from time to time riding a skateboard with the teenagers, playing a bass guitar or talking about the eggs that are laid from chickens he raises in his backyard. But every Sunday, Wednesday and pretty much the rest of the week, Gaspard is busy ministering to a homeless man, preaching a message from inside Revival Life Church’s worship center or sharing the gospel with residents of a halfway house, many who live a life of drug use and alcohol that were once common for him. He’s quick to point out this past life is something he now uses to relate to the people he’s trying to reach. “A lot of them tell me later on when they’re clean that I understand where they are coming from,” said Gaspard, pastor of the south Louisiana church. “They tell me that helped them open up to share problems. They know I won’t give them a textbook answer; mine is from experience. Gaspard accepted the call to preach the day he accepted Christ in 2002, 12 years after he began using drugs. That day, he walked into the office of a pastor and had planned on winning an argument about how Christianity was stupid. He ended up leaving a believer in Jesus and a new call on his life. The following Sunday, his wife, Casey, attended the church service with him and she accepted Christ. Gaspard’s journey in ministry began as an assistant pastor at New Hope World Outreach Center. He served there for seven years until he planted Revival Life Church, non-denominational at the time. However, the church became Southern Baptist in August, when Revival Life Church joined the Bayou Baptist Association a year after exploring the possibility. Gaspard said once he examined the beliefs of Southern Baptists, he realized that was the right move for the church. Throughout the months leading up to their becoming an official Southern Baptist church, Revival Life Church was baptizing new members often. Since January, 67 have been baptized, including 8 in October. But before they take that step, Gaspard makes sure candidates understand what baptism means – a public expression of how they are giving up their old life for a new one in Christ. Among those baptized recently were Brad and Renee Lirette. Once they became Christ followers, the couple knew the importance of taking that next step. 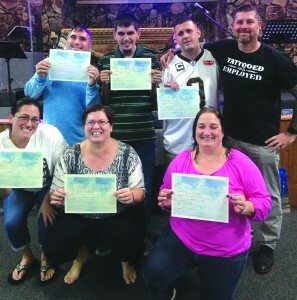 “I couldn’t wait to get baptized,” said Renee Lirette. “I was baptized as a Catholic but this time I was the one who chose to be baptized. I just cried. I was just so thankful to finally get it. 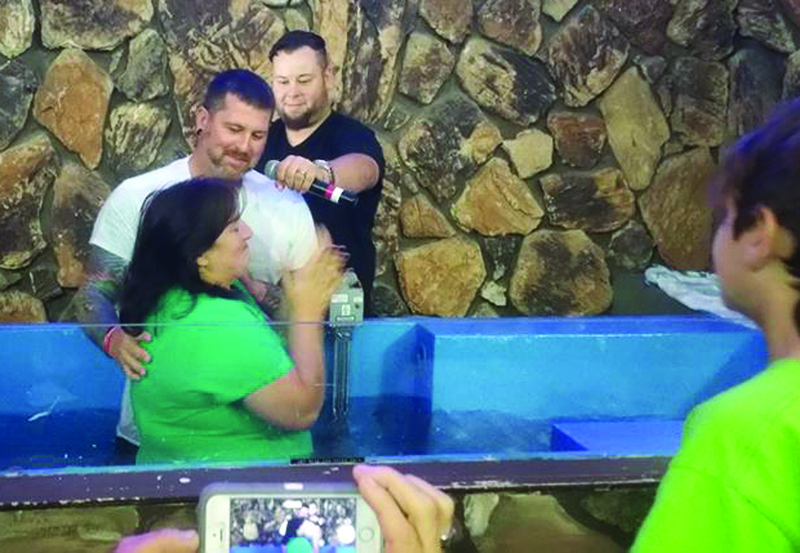 After seeing his wife transformed by surrendering to Christ, Brad Lirette became a Christian in September, and was baptized the following month. Although he knows baptism does not save you, he said it is a powerful experience. For Michelle LeBoeuf and her husband Cyr, an invitation to visit Revival Life Church was life-changing. After several months of attending services on Wednesdays and Sundays, the couple gave their hearts to Christ and wanted to be baptized. Gaspard is thankful for the number of baptisms that have taken place and how the congregation has grown from 35 when he first planted the church in 2014 to around 100 now, and he says this success is the result of putting emphasis on sharing Christ and discipleship. Outreach efforts include hosting a Halloween event, delivering meals to needy families on Thanksgiving and sharing Christ with residents of a Halfway House located near the church. Discipleship efforts include sending out text messages with scriptures and devotionals, holding men’s and women’s small group meetings, co-ed Christ Centered recovery meetings and taking part in discipleship training on Wednesday evenings. “One of the things about why we grew is I am very open, very honest and very to the point when I preach that it’s all about Jesus and not programs or anything else,” he said. “I preach that if you want to come and just warm a pew, this isn’t the place for you. A lot of that comes from a general caring for people and not just the numbers. “I truly believe in standing on what Jesus said,” he continued. “He said I will build the church and you take care of the sheep. A shepherd’s job is to take care of the people and let Jesus bring the sheep to you.